Playing video games can be a fun time for everyone. But when they’re played on gaming chairs designed specifically for playing titles, they’re much more fun. A German company- Gamewarez comes with its innovative gaming chairs, characterized by an attractive design and an incredibly durable surface. A stylish and comfortable beanbag, called “Granite Hurricane”, that fits in every living room. Gamewarez offers players maximum comfort and relaxation, guaranteeing a complete and 100% enjoyable gaming experience. 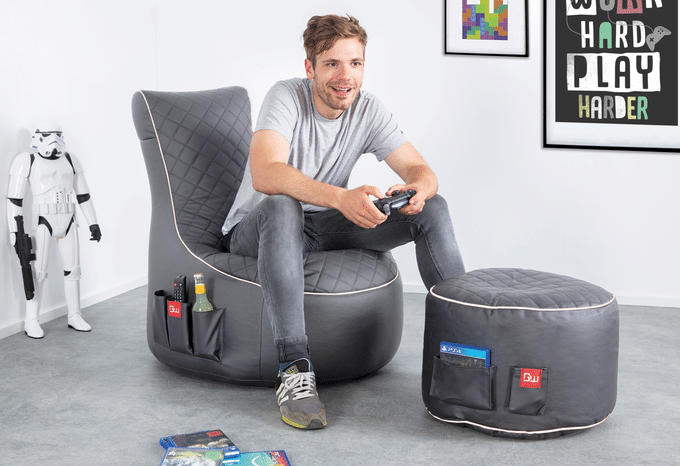 What makes this gaming chair innovative and extremely comfortable are- the internal filling with high-quality, dust-proof EPS-beads. These bread adapt perfectly to the body and ensures a comfortable, upright sitting position in combination with the stable backrest. Additionally, an internal net solution protects the EPS-beads from spilling and makes it easier to refill the beanbag. Besides, this exclusive beanbag consists of smooth, dark grey artificial leather and the seating surface comes with a noble double-stitching (in dual line design). In addition, the external polyester coating guarantees a strong resistance to tears and wear, as well as being water repellent, stain-proof and therefore very easy to clean. The Granite Hurricane provides some other practical functions which make it add more comfort to enjoy the environment. It comes with a headphone holder and expandable side pockets to have everything in reach that you need. Players can store any type of object or accessory from snacks to remote to a smartphone to tablet, for an intense and satisfying game session. Also, the Granite Hurricane is easy to carry around thanks to its low weight (just 5.7Kg). This allows a quick and easy positioning in front of the TV and an even more intense gaming experience. 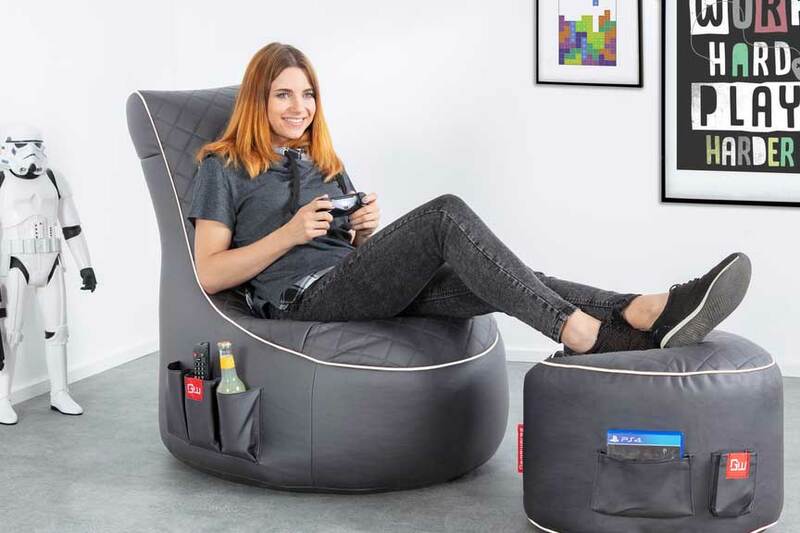 And for those who want to enjoy a little relaxation, Gamewarez has also created a small, comfortable and compact pouf of the same line. It can serve as a footrest or seating for other players or friends, perfect even just to see a movie in the company.